Easy provider Big Time Gaming brings you Dragon Born, a Chinese themed slot with a blend of royalty and you guessed it, dragons. Set high in the mountains of a glorious palace, Dragon Born takes you on an epic adventure as you hunt for cash prizes. The slot has a 6-reel setup with 7 windows on each reel. 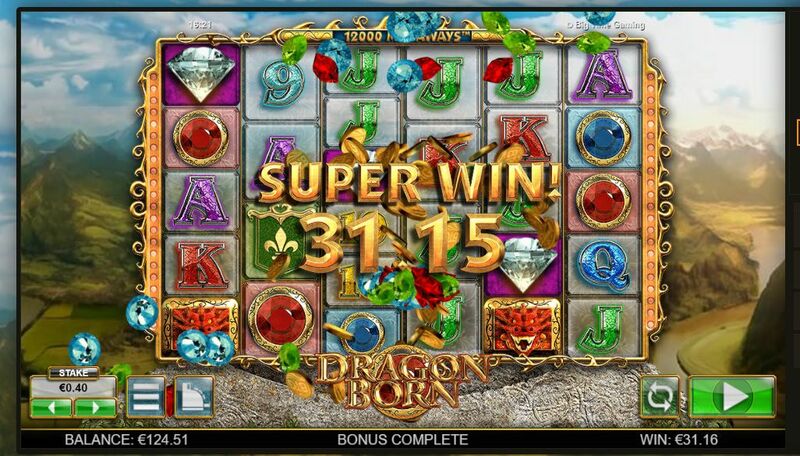 Like majority of Big Time Gaming slots, Dragon Born offers an unbelievable 117,649 mega ways to win. Not only that, but the Full Reel Wilds and Diamond Scatter Free Spins should provide some amazing pay-outs. Experience Dragon Born today and spin your way to glory, view more. Despite being an intense slot, the background noises are surprisingly enchanting, which relaxes you before the non-stop action. You’ll be able to see vast amounts of greenery and mountains in the distance as you battle to defeat the dragon. * FULL REEL WILDS – These reels only appear on reels two through to six and multiply your wins up to 7x. Full Reel WILDS start off at 1x and multiply by each other on winning combinations if more than one is present. For each diamond SCATTER you hit, you’ll receive an extra free spin. Big Time Gaming never fail to please their players and Dragon Born is another big hit. With 117,649 mega ways to win, Full Reel Wilds and Diamond Scatter Free Spins, you’ll struggle not to hit some mind-blowing combinations. Dragon Born can definitely have some volatile swings, but it’s definitely a must-play slot for all players. 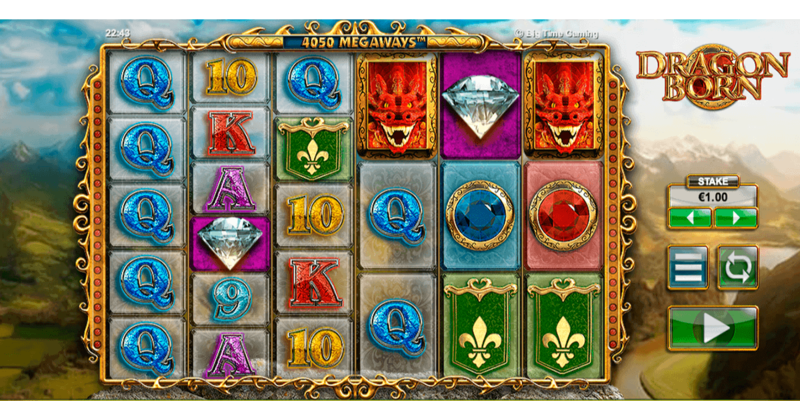 If you enjoyed Dragon Born why not try another online slot games here on https://www.easyslots.com/ and pay by mobile casino sites.